At Southlake Fundamental Baptist Church we believe in the bus ministry. Ride our Sunday School Bus! 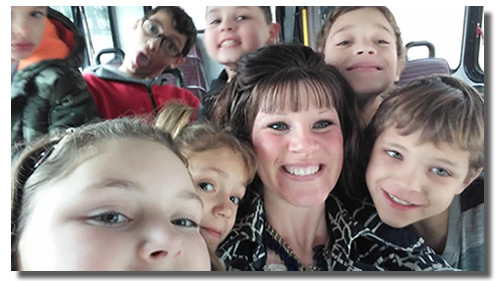 Although most people think of the bus ministry as primarily focused on bringing in young people, we make it our mission to provide transportation for anyone who would like to attend our Sunday morning services. If you need a ride to church on Sunday morning, please don't hesitate to call us for a lift, no matter what age group you find yourself in. We are happy to help. Of course, we do have regular bus workers who actively seek children and families in the Crown Point area who would like to attend Sunday School but can't get there on their own. 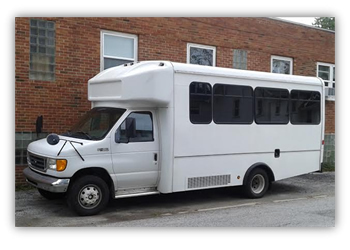 The bus ministry is just one more way that SFBC seeks to be of help and service to those of our community. If you are looking for an opportunity to serve the Lord yourself, consider offering your services to help out in this area. As Jesus said in Luke 10:2, "The harvest truly is great, but the labourers are few:"